SEDONA TRAILS Guide To Hiking Sedona AZ. Top 5 Sedona Hikes, Maps, Photos, Info. Sedona Trails. Sedona Hikes. Hiking Sedona AZ. Sedona Trails offer a rare kind of natural beauty. We LOVE hiking Sedona trails. So can YOU! Locals and visitors share tips, Red Rock Sedona pictures, maps, insight. Favorite trails: Where, how, why. Featured: Boynton Canyon. A Box Canyon. A Gift. A Story With A Joyful Ending. Hiking Sedona AZ. Favorite Sedona Hikes. Jump To The Main Sedona Hiking Page? Click Here. 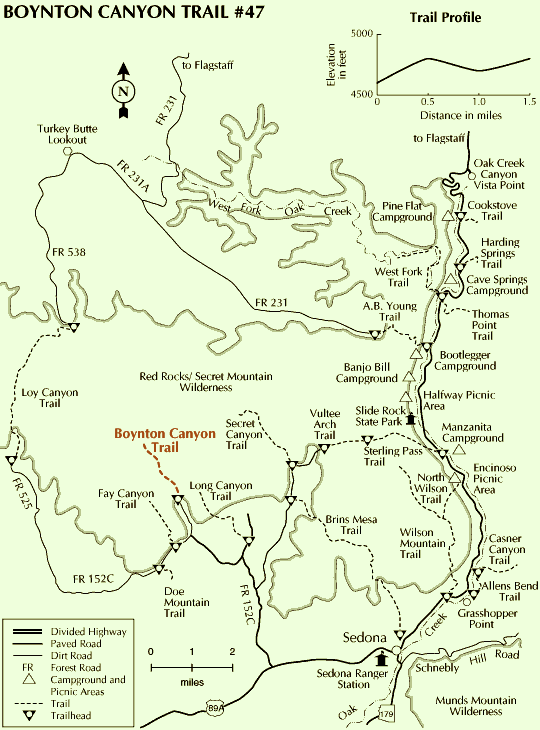 The Boynton Canyon trail offers hikers a box canyon experience. It's a moderately challenging 3 hour hike that doesn't have the sweeping, wide-open kind of vistas that many other Sedona trails offer. But then, --having earned it!-- you can enjoy one of Sedona's most phenomenal wilderness amphitheaters, from a prime viewing location. This is a terrific spot to have a rest, soak in the sun, and maybe have a picnic before your return. The journey to end of the canyon is a dramatic story unfolding in and of itself, and your own delight can be its slow building, cumulative climax. Savor the close-up canyon views, glimpses of the wild critters, and the majesty and variety of flowers, cacti, shubs and trees. Some of these (the alligator junipers) are 2000 years old. 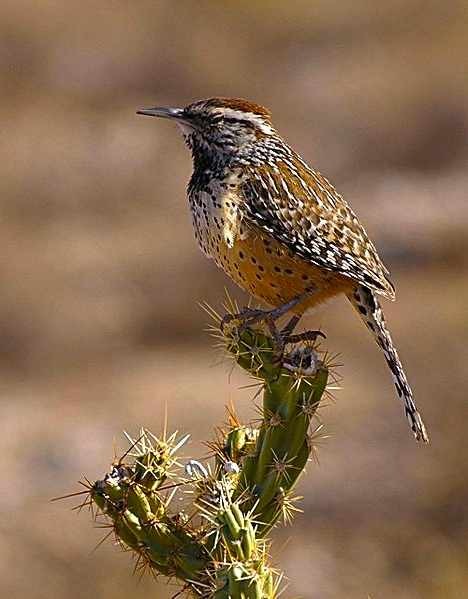 Keep your eyes open for white-tailed deer, ravens, javelina, rabbits, and canyon wren (Arizona's state bird). Boynton Canyon has been heralded as the sacred birth place of the Yavapai Apache Tribe, the observance of which continues to be honored by modern tribespeople, and many locals and visitors. Annually, there is an organized celebration of gratitude and rememberance. Kindly keep this lovely area just as you see it. For example, it would not be appropriate to pick up pieces of pottery, or to rearrange stones along these trails. Hiking Sedona AZ. Top 5 Sedona Hiking Trails. Length 3 miles (6 miles round trip). Hiking Time From 3 to 4 hours for the full round trip. Access From Hwy 89A in West Sedona, turn north onto Dry Creek Road, and continue for about 3 miles to a stop sign where you'll turn left onto Boynton Canyon Road. Keep straight until the next stop sign at Boynton Pass Road. Turn right and find the parking area (1/10th of a mile up) on the right. Fees Parking is permitted with any Red Rock Pass. This trailhead has a self-serve kiosk where you can purchase the pass onsite, if you don't already have one. Be sure to display it in the windshield of the vehicle in order to avoid getting a fine. Favorite Sedona Hiking Trails. Top 5 Picks For Hiking Sedona AZ. Most hikers turn around at the midway point, which gives a satisfying taste of the canyon. This is when the trail progresses from very easy to moderately challenging. If you would like to continue on, you will descend toward the heart of the canyon, and might enjoy exploring the mysteries of several unmarked side trails. At the very end of the one-way, the trail becomes a bit steep and slick. Negotiate your balance carefully here. Then, pinch yourself to be sure you're not dreaming this wonderful panoramic reward. TIP: Since this begins as a very popular hike, you might start early, and/or hike during a weekday in order to "sidestep" a crowed trail scenario. TIP: There's an option along this Sedona hiking trail to detour to the aptly named Vista Trail, which is just below an easily recognizable spire rock formation called Kachina Woman. It's about 0.5 mile round trip. If you're up for it, we highly recommend it. For more info, stop by the Coconino National Forest - Red Rock District Ranger service center. Or, call these friendly and knowledgeable folks at 928-282-4119. You are the reason SedonaHappy.com exists, so we hope you'll accept our ATTITUDE of GRATITUDE for your interest in this site and in our beloved hometown. Click here to return to the list of Top 5 Hikes on the MAIN Hiking Sedona page. To go to the SedonaHappy.com HOME page from this Favorite Sedona Trails feature page, click here. Sedona Trails - Where's The Boynton Canyon Trail? Share YOUR Happy Story? Click Here. Top Sedona Hiking Trails. Hiking Sedona. Top 5 Sedona Hikes. Sedona Trails.